Someone’s shiny present from Santa is stirring some online outrage. 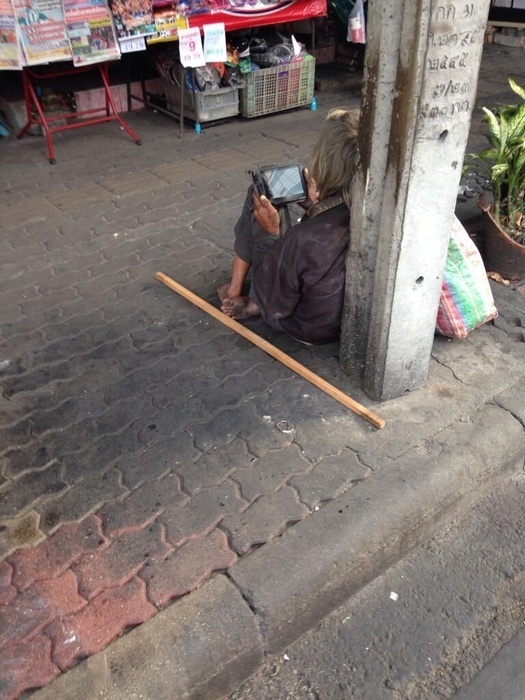 While this photo may not represent the typical street beggar, it certainly explains why some people hesitate to hand over their money. The photo was posted this morning, and we cannot be more happy to see some Christmas spirit in the city. Dancing Shrimps – they can’t get any fresher than this… Did you know that Pad Thai (ผัดไทย) did not come from Thailand?